Hundreds of exceptional cartographic images are scattered throughout medieval and early modern Arabic, Persian, and Turkish manuscript collections. The plethora of copies created around the Islamic world over the course of eight centuries testifies to the enduring importance of these medieval visions for the Muslim cartographic imagination. With Medieval Islamic Maps, historian Karen C. Pinto brings us the first in-depth exploration of medieval Islamic cartography from the mid-tenth to the nineteenth century. Pinto focuses on the distinct tradition of maps known collectively as the Book of Roads and Kingdoms (Kitab al-Masalik wa al-Mamalik, or KMMS), examining them from three distinct angles—iconography, context, and patronage. She untangles the history of the KMMS maps, traces their inception and evolution, and analyzes them to reveal the identities of their creators, painters, and patrons, as well as the vivid realities of the social and physical world they depicted. In doing so, Pinto develops innovative techniques for approaching the visual record of Islamic history, explores how medieval Muslims perceived themselves and their world, and brings Middle Eastern maps into the forefront of the study of the history of cartography. "Through excellent research in multilingual (Arabic, Persian, and Turkish) primary and secondary resources, Pinto provides a significantly original, detailed, and compelling in-depth assessment of medieval Islamic cartography from the mid-10th to the 19th century. The author focuses on a ninth-century tradition of maps known collectively as the Kitab al-Masalik wa al-Mamalik, or Book of Roads and Kingdoms, by the Persian geographer Ibn Khordadbeh, and Greek history (notably Ptolemy) from the perspectives of iconography, context, and patronage. In 13 chapters augmented by 150 superb (mostly color) illustrations, 741 scholarly notes, and 686 bibliographic references, she examines these Muslim maps as documents of political and cultural history from a broad humanities context and demonstrates the intersection with Western cartography. Tracing the inception and evolution of these maps, Pinto analyzes them to uncover the identities of their creators, painters, and patrons. Incredibly valuable for research in cartography, historiography, and Islamic studies.This unique compendium is a 'must acquisition for scholars and major libraries. Essential." "Pinto's book is well-researched and provides a number of excellently reproduced, beautiful illustrations. One must be grateful for her extensive library research and the photographs she has made of rare world maps that are normally hard to see. The University of Chicago Press has done a magnificent job with the illustrations." "Books on Islamic maps can be counted on the fingers of one hand, and this volume is a very important addition to a fledgling field." "Pinto’s analysis shows how KMMS maps can be used as alternate gateways into the Islamic history of cartography. It is stimulating to see how this corpus of maps, until now largely neglected—unlike Ptolemaic cartography and its later developments—and considered of little significance to the study of the history of science, is now considered as relevant material for cartographic and historical studies." "The book is lavishly illustrated; most maps are reproduced in high-quality color copy, many photographed by the author. Some maps are made available in print for the first time....Pinto is painstaking with regard to visual details of map ideography and decoration, while expressing hope that art historians will turn their attention to illustrations in scientific manuscripts (248). Her work is both meticulous and imaginative – truly an exploration." "The book is well written and easy to folow. The research is excellent ...What really stands out in her volume are the illustrations... I certainly recommend this work and believe it is a strong entry into a history of medieval maps. 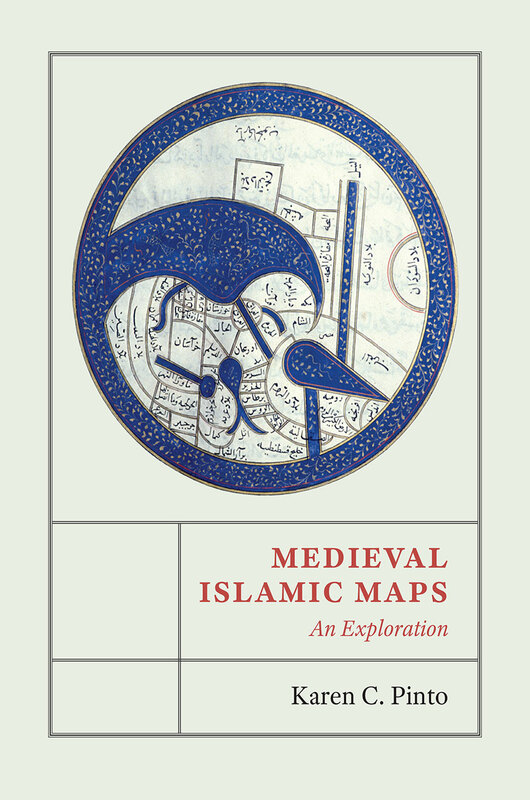 "[Pinto] traces the development of Islamic mapping traditions alongside the cosmographic and cartographic descriptions of the cultures, including Hindu, Buddhist and Jain, that influenced those styles...This volume explores maps as gateways into Islamic history offering insights that can be appreciated by both scholars and general readers."